You probably remember these ornament shapes from the ornaments with lace or the blue Christmas ornaments. 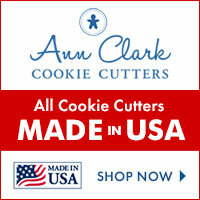 This set was made with the mini version of the same cutters, available at Cookie Cutter Kingdom. 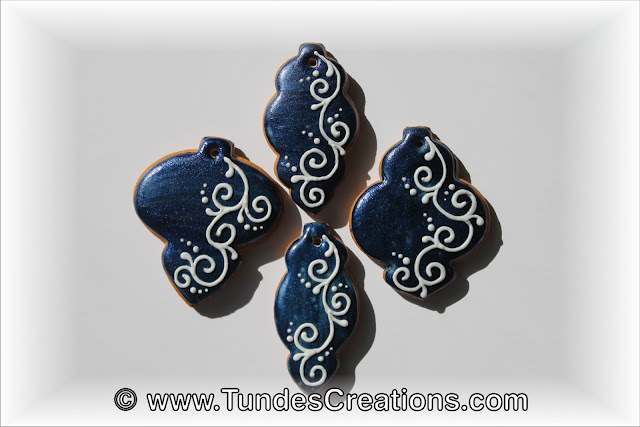 I started with white flood icing for all of them. 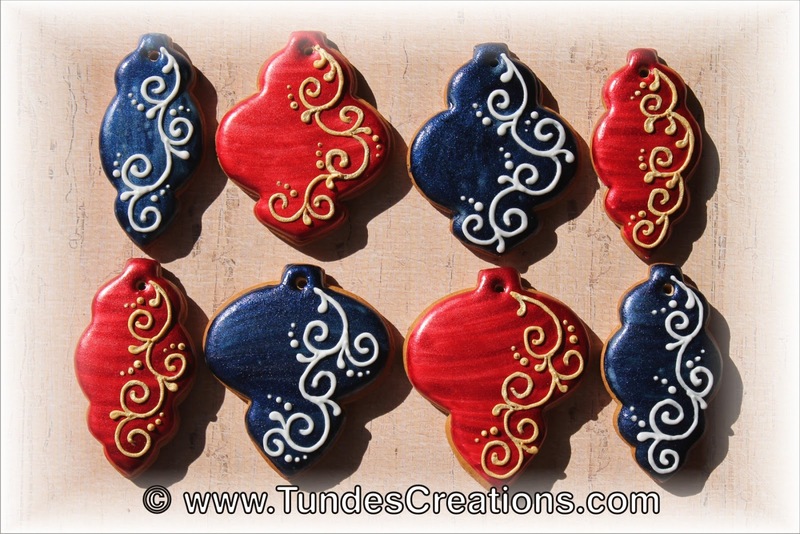 Then painted half of the with TruColor Super Red Shine Color an the rest with Deep Blue Shine. Then piped some filigree pattern to all of them. 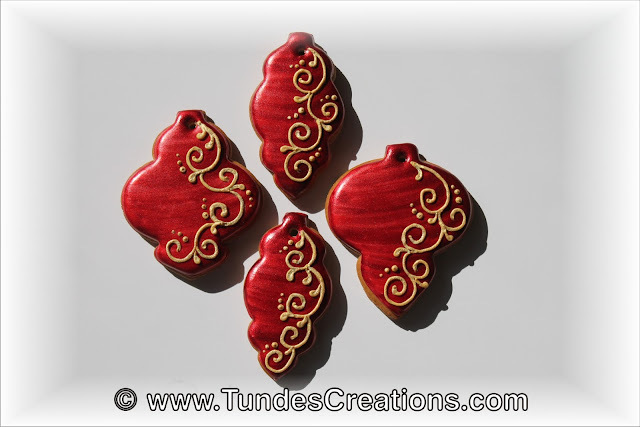 Painted the filigree of the red cookies with TruColor Gold Shine.